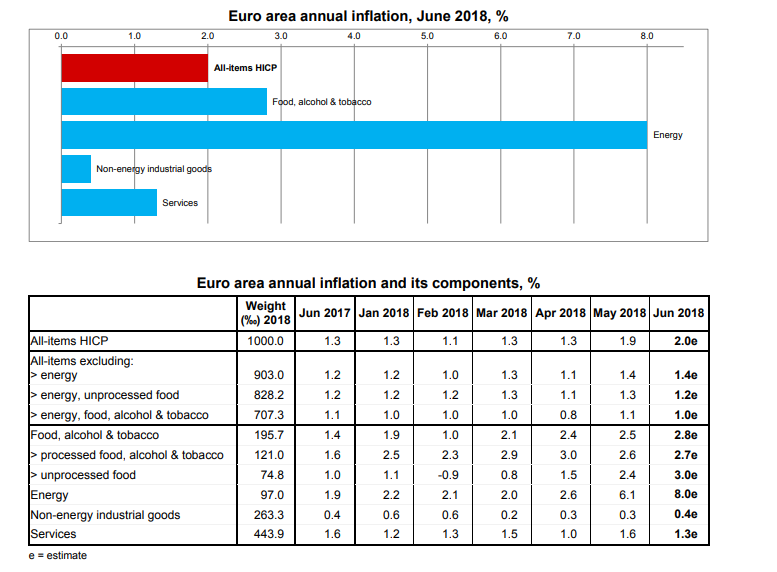 Euro-zone consumer prices for June have just been provisionally published with a change of 2.0% compared to 1.9% in May. This meets expectations. The so-called core rate (excluding energy and food) rises by 1.0% after 1.1% in May. 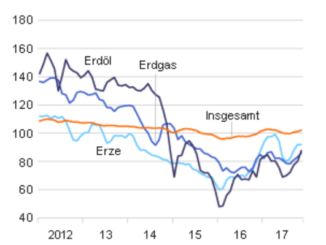 After 6.1% in May, energy prices rose 8% year-on-year in June, making them the number one driver, and food prices also continued to rise after 2.6% in May now with +2.7%. Services slow down the total value by only +1.3%. 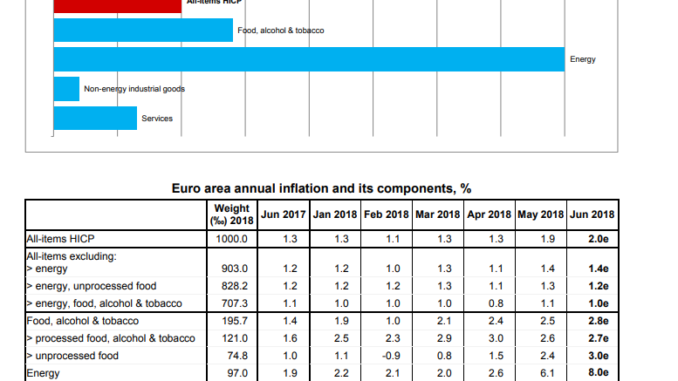 Buying petrol and daily food and drink is now significantly more expensive than the ECB’s target three years ago (2% or close to 2%). But anyway, it’s all a matter of opinion. The rate is now exactly at the 2% mark. 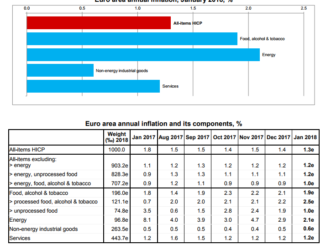 But remember the ECB’s clear words from last year. 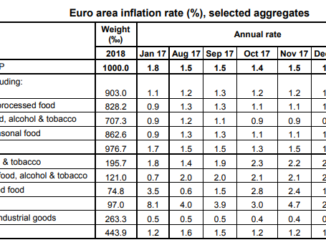 Inflation must first be sustained up there, and the core rate of 1.0% must now catch up with the 2% mark.